Home»Politics»Obama Gearing Up for Assault on Guns – If Elected Clinton Promises More of the Same! 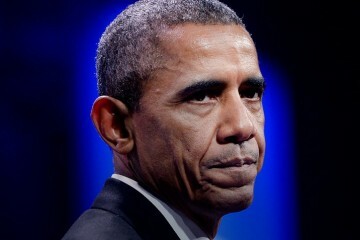 On Monday the White House confirmed that President Obama was preparing to take executive action on what he views as ‘America’s gun problem.’ The President is looking to write a series of executive actions that he believes will help us little people control ourselves, seeing as how our legislature has chosen not to pass any of the gun control laws that President Obama has advocated for. The White House also spent a bit of time praising Hillary Clinton for her similar efforts in talking up gun control over the past few days. Clinton has been preaching about more restrictive gun control for years but has really ramped up the rhetoric since the shootings in Oregon. Over the last couple of days she’s even suggested that if she is elected President, she would immediately take executive action on gun control. RELATED: Gun Rights Victory in New Jersey! On Monday, Clinton laid out a few key planks in her ever-growing anti-gun agenda.